If you ever rode on a 2nd class bus in Latin America before the next few sentences will probably stir up some fond retrospective moments buried under years of more comfortable transportation. Hours of loud Latin music with almost unbearable heat casually ticked by while our backs jarred with every single bump, hole, and piece of debris encountered on yet another day travels through El Salvador. Vendors stepped on and off the bus like ants marching towards a melted tootsie pop. At every planned stop they jumped aboard and sold everything from the ubiquitous Latin sweets to meat on skewers. I counted clouds, listened to some live on bus music performances, and watched volcanoes ponder the busy world beneath their shadows before we eventually pulled into the sketchy city of San Miguel. Armed men with enormous guns guarded almost every visible establishment of this busy capital of the south. We were dropped off outside the bus station and told to walk through the small opening in a concrete block wall topped with razor wire. This was the terminal. We grabbed some delicious Pollo Campero (always a crowd pleaser) and were beach bound once again. 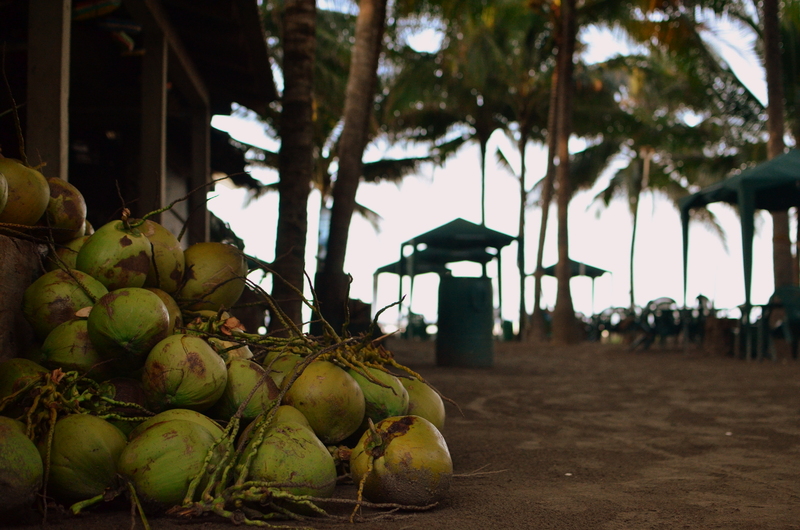 El Cuco was our immediate destination and we were dropped off in the middle of the “square” of this rough and tumble looking beach town. Immediately we were approached by a young man with a pickup truck asking about our destination and we were surprised to find out his ride would be “gratis”. Confused, but not daunted, we once again blindly accepted that this was norm and hopped on, bouncing down the only other road out of town with our asses planted on a piece of wood. The beach side of the road was lined with 12 foot high concrete walls completely enclosing each compound in from the outside world. Shacks, small tiendas, and uncultivated farm lands were opposite the fortresses. 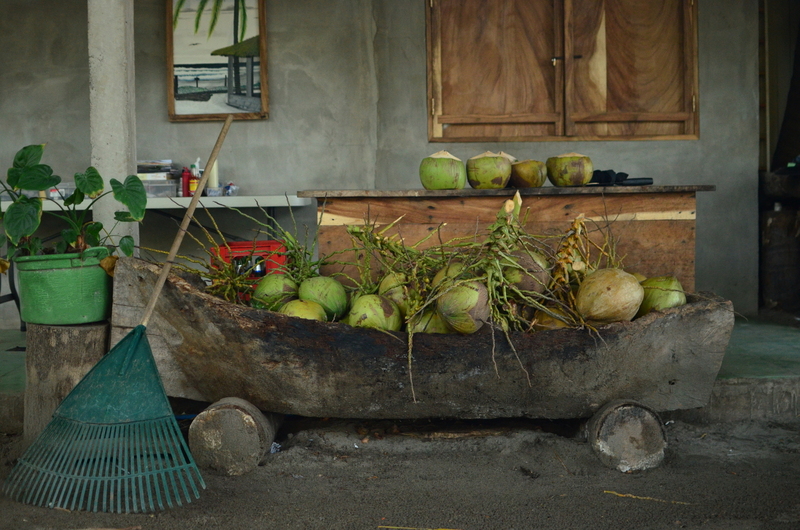 After about 10 minutes on the back of the dusty truck we arrived at the compound of La Tortuga Verde. 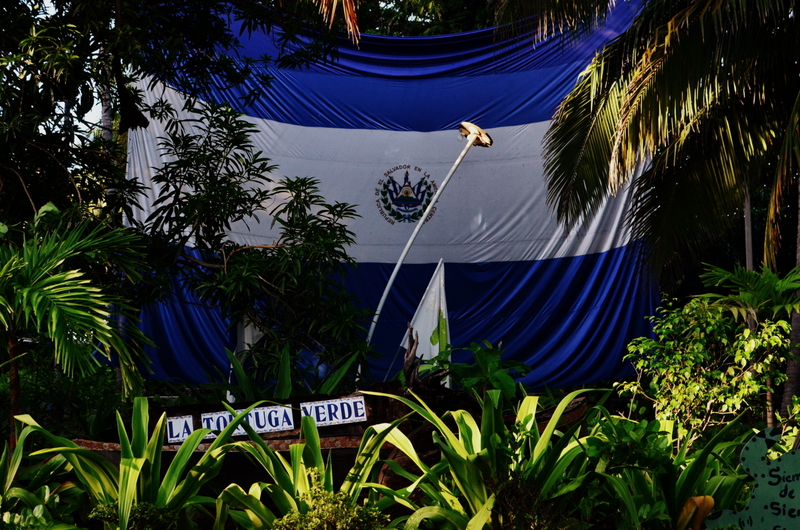 A huge 30 foot flag of El Salvador was strung between Palm Trees at the entrance of the hotel/hostel/small resort created by a visionary of sorts from the United States. Tom was a surfer, real estate guru, and lover of nature by heart. 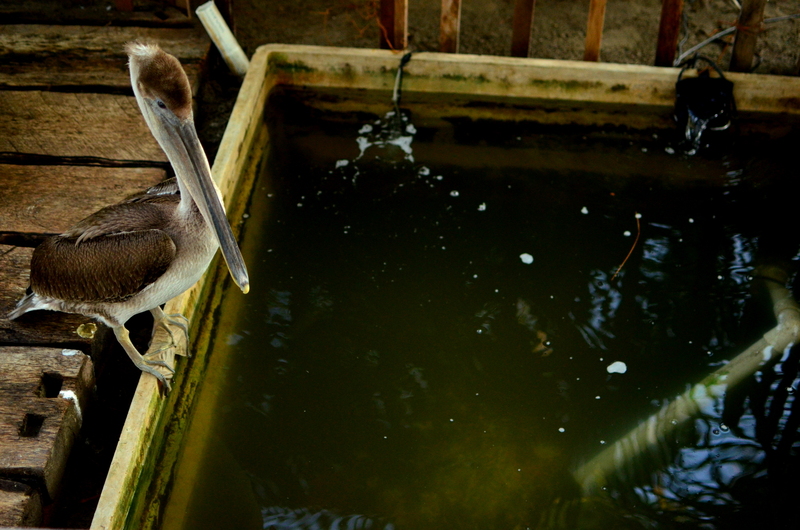 When we walked in Tom was giving a rescued Pelican a bath in a wheel barrow to rid the bird of the fleas and insects that tend to tag along for the ride. I remember thinking, “Now this is an interesting man”. My mind is far too curious to let things like this lay. I knew it was only a matter of time before my mouth would sprint past my mind and figure out what this man’s deal was. 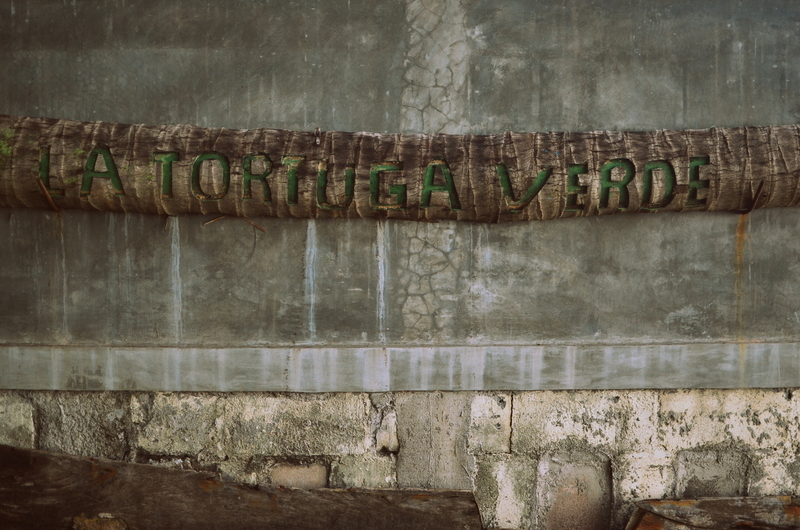 Tortuga Verde was clearly a dream of Tom’s turned into reality. The grounds were immaculately clean with leafy palm trees sprinkled throughout the premises offering shade to the omnipresent sun. There was a blue lit swimming pool and hot tub in the center of the premises and tables, hammocks, and huts lived beach side. This hardly felt like a hostel for backpackers, but the premises offered everything from private house rentals down to hammocks. Tom was a surfer above everything else and offered cheap board rentals and lessons too. When I finally got sit down with Tom he told me about his dream to create a place on the beach that was safe, had the best food around, and created jobs for locals. His place was staffed with about 10 Salvadorans and yet we felt like we were one of the few people staying there (low season, of course). He told me he wasn’t dong this for the money and I truly believe this wasn’t a lie. Aside from the creation of good jobs for this suffering community, his # 1 priority was protecting the turtles. Turtles often lay their eggs on these beaches and are preyed on by locals who then sell the eggs for consumption as a local delicacy. Tom often winds up buying the eggs immediately off the poachers and buries them again to give them a chance at life. He has the system so nailed down that the poachers often come to him first. Job opportunities are scarce here and if Tom didn’t purchase the eggs they would sell them in town anyway. It’s not a cure to the problem, but at least it’s an attempt. Also worth mentioning is Tom’s local TV show, filmed and produced by Tom and his staff, that is aimed at bringing issues such as conservation of the mangroves and turtle awareness to the public’s eye. He’s the gringo with bad Spanish on TV that locals tune into for entertainment. 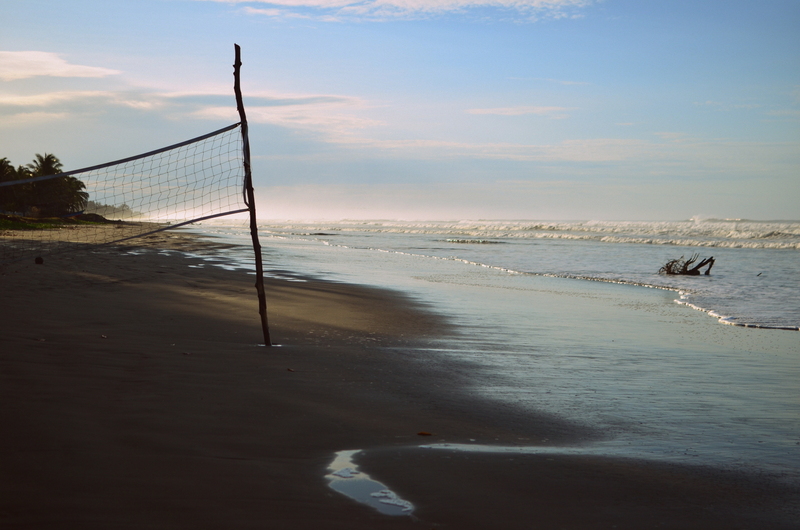 The beach itself offered short, soft and surfable waves to play in. At low tide the beach would become an endless stretch of sand reaching far into the ocean without a single person in sight in any direction. At night thunderstorms would come in off the coast from Honduras and light up the entire sky. At Tom’s recommended we walked down his protected beaches at dark for a starry, tranquil experience listening to the waves and gazing up at the night sky. We brought a flashlight in case we spotted a turtle laying eggs so we could make sure a poacher wouldn’t claim them as his own. The next day I woke up extra early and rode my first wave in 7 years. 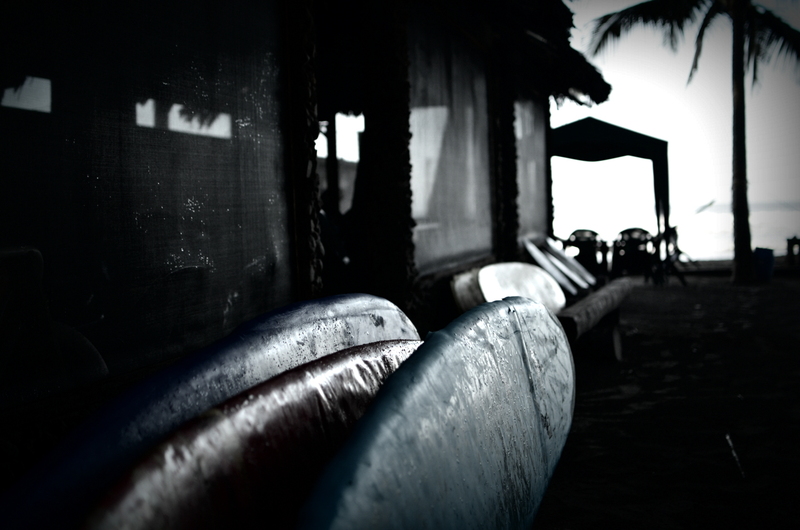 It felt awesome to be up experiencing the magic of surfing once again. I think we should all consider ourselves lucky beings to be able to play with nature in such a fashion. El Salvador was yet another country whose history was marred with political instability, civil wars, and government corruption. El Salvador, like many other countries, fought hard to resist Spanish rule but eventually lost. After Mexico separated from Spain, El Salvador resisted joining the Mexican Federation and was pretty much the prime reason that Central American provinces eventually became their own governing territories. Land was taken over by foreign enterprises and the wealthy in the 19th century when crops transitioned from Indigo (used for dyes) to coffee, which resulted in the displacement of Salvadorans who were now landless. The US became involved during the Latin American communism scare of the 80’s and supported the government, which resulted in horrendous human rights violations from both the military and leftist groups that formed. It was a very hectic and confusing time to be a human amidst the chaotic swings of politics in this region. War crimes were eventually forgiven for all sides but El Salvador’s past still remains visible with “no guns” signs lining parks and public spaces. But despite all of the violence in it’s recent past, El Salvador was very warm and very welcoming to two US citizens wandering around it’s dark mercados, it’s beautiful landscape, and it’s sometimes confusing public transportation system. 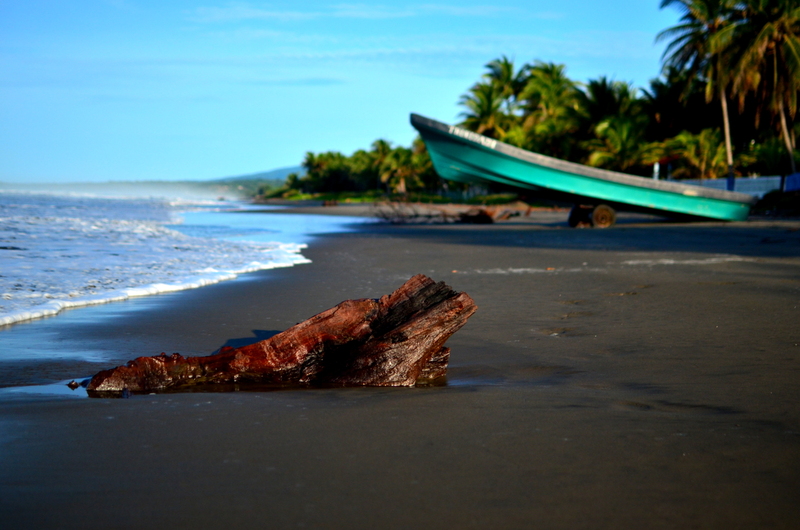 El Salvador might have a long way to go before it becomes a part of the regular tourist trail, but once it is discovered a lot of the truly raw and gritty experiences of our trip will surely disappear. Hasta luego El Salvador. Vamos a regresar. Hi, I’m really glad that I came across this post. I work with a lot of people from El Savador (they’re from Metapán), and I always wish that I had a few snapshots of Salvadoran life to work off of. Love the description of the bus rides and the tricky chat on the beach. Keep on having a wonderful journey! Well I’m glad you stumbled upon this blog then! I wish I could give you some more details about life in El Salvador but we only spent about 9 days there. We had a deadline and a place to be so we kinda had to take it in at a quick pace. Check out my other posts in El Salvador if you want to see what my experience with the culture and the country was like. Maybe one day you’ll pay a visit? Thanks for the comment! Tom was one of the most interesting characters I’ve stumbled upon. He claims he has never read a book in his life and definitely is a clear example of how each one of us can create our own reality. I’m not sure his business is sustainable (he claims he doesn’t really make a dime on what he’s doing, “but it’s not about the money anyway”) but it definitely is bringing a better life to Salvadorans that would otherwise not have much going on. Always excited to see a comment from my big brother on here! You painted with all too much clarity the bus ride and I still can remember. But I would do it again! Love your story and photos…. Bus rides stick to my memory like glue for some reason. Instead of popping in ear phones and hiding from the reality by sleeping I find myself taking all the visual and auditory information and keeping the experience fresh. Thanks again for stopping by! Not sure man. We took a local bus from one if the bus stations and it only cost a few dollars to get there. Look into lonely planet forums and punch in keywords like El Salvador, Playa El Cuco, Transportation, etc and you should find something. Good luck! Hi. I like how you described this place! I was born and raised in the “sketchy city of San Miguel” and have some land in El Cuco (undeveloped). 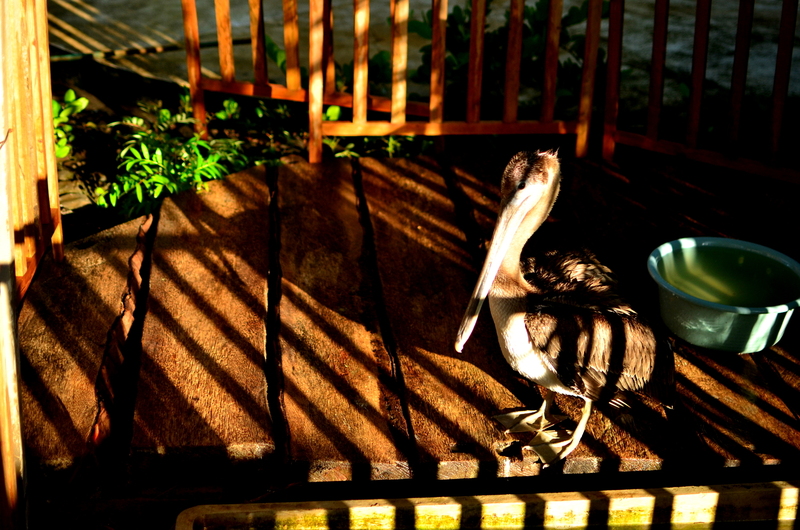 I’ve also been to La Tortuga Verde, seen the pelican, but have yet to meet Tom! I do not like the loud music in the buses, which I don’t remember as a child, but on this last trip there, I found myself feeling annoyed by that. The beach is just as you describe it though, it could be a nice tranquil experience, day or night (except in the summer when the playa is overcrowded with local tourists since the temperature goes to the 100’s!) And even though El Salvador faces many challenges, you will always find someone who has faith, tries to make a difference one way or another. I believe there is some new developments going on (Decameron hotels) being built and more little shops and restaurants being developed. 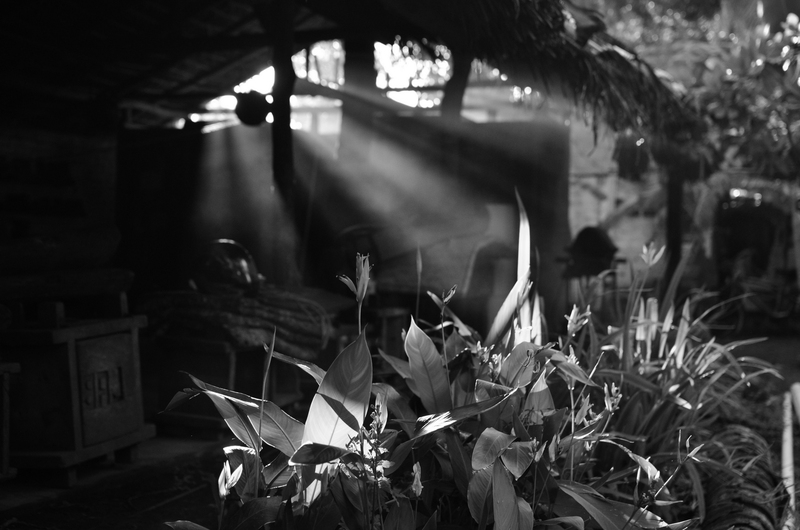 There is much work to do in El Salvador, but we are always hopeful things will get better… But once in a while you will find yourself taking in a sunset and relaxing and enjoying solitude in such a place. Thank you for your great post! Adios. Hi, right now I’m in Bogotá airport’s waiting room with my wife, ready for travelling to La Tortuga Verde. This post is the best reference i’ve read about this place, I must say your pics are wonderful. Well, I’ll be posting about my experience, thanks. I’m glad that you found my writing and photos about this place! I hope that you enjoyed your stay (it looks like you did) and got a chance to speak with Tom, the owner. I like your blog very much! And I really like your description of your impressions of EL Salvador! Especially because I will travel this country this august! Love from Germany! We are currently staying at La Tortuga Verde in El Salvador and with Tom’s support we have created an IndieGoGo campaign to save every turtle egg on el cuco beach! Love it! I live in El Salvador and you dont know how good was reading about your experiences, I study Tourism almost graduated and I know there is a lot lot lot to do to be better in every way but I love my country and this just made me love It a little more and to work hard to make it better… first and harder…. myself… ! !